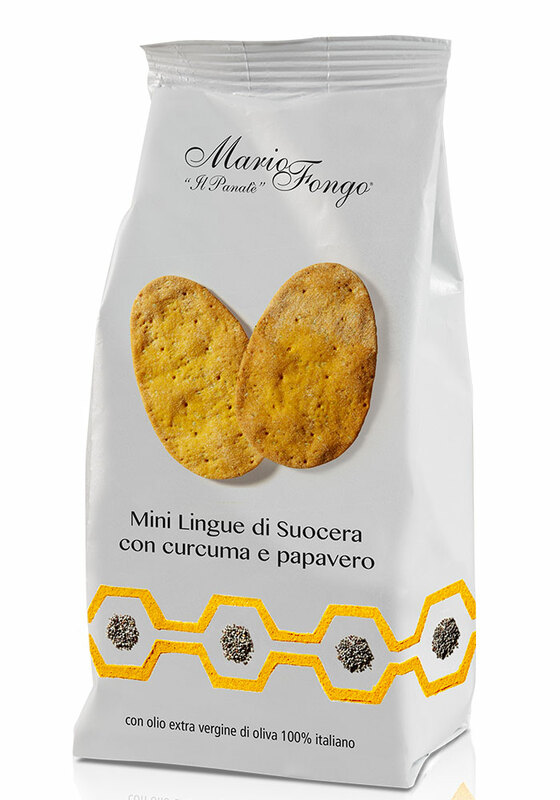 The Mini Tongues by Mario Fongo are produced with the same dough and process of the Mother-In-Law’s Tongues, only noble ingredients and they become protagonists of a new way of understanding appetizers, canapés, tapas, garnishes. 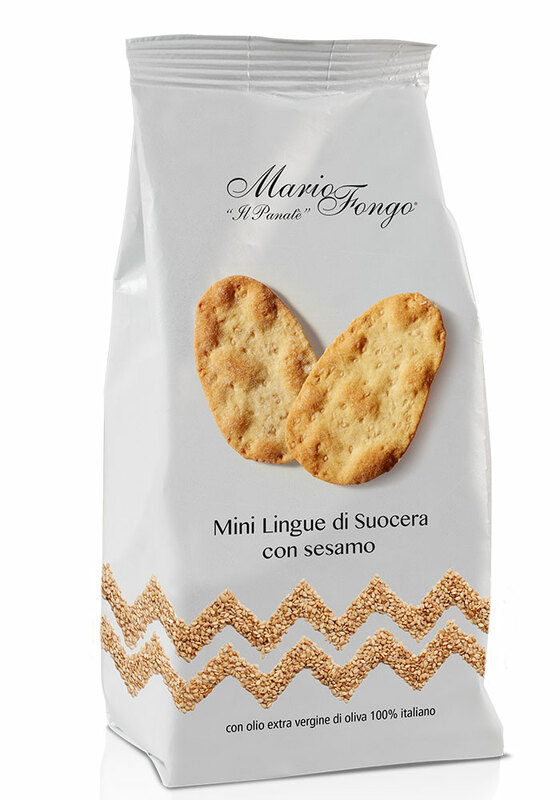 The Mini Tongues by Mario Fongo are produced with the same dough and process of the Mother-In-Law’s Tongues with wholewheat flour, only noble ingredients, and they become protagonists of a new way of understanding appetizers, canapés, tapas, garnishes. Smaller than the Mini Tongues but equally tasty, the Mini Mini Mother-In-Law’s Tongues will captivate you with this new size, a concentrate of flavour and fragrance. 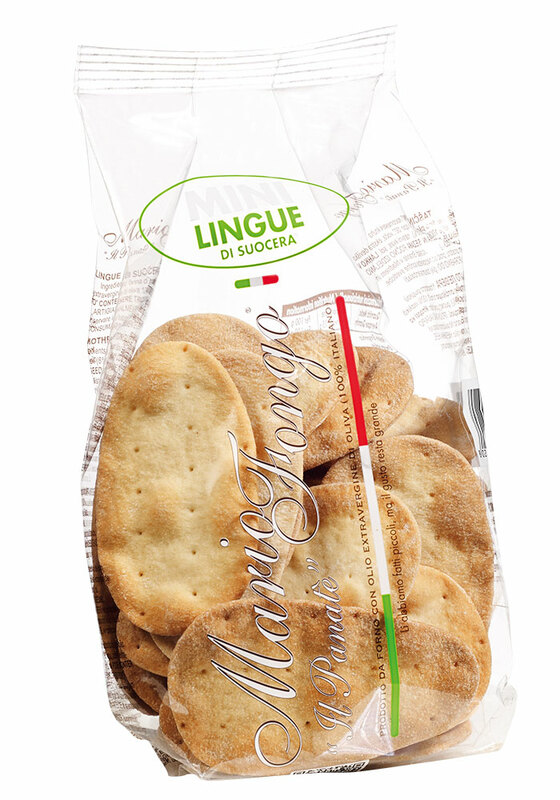 ​It’s an appetizing snack that you will not be able to give up. 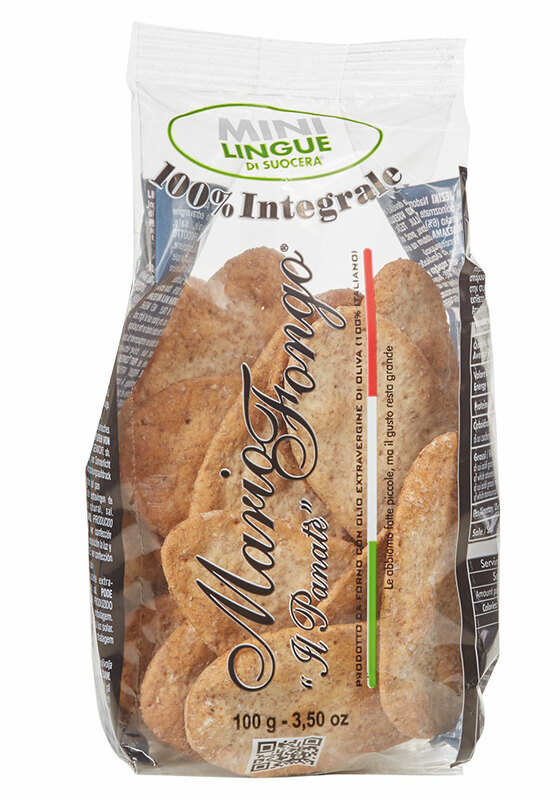 The crispness of the Mini Mother-In-Law’s Tongues is enhanced by the addition of sesame seeds that make this snack an appetizing combination for the aperitif. Caraway is a seed rich in protein and minerals. Among many properties contained in this seed there is also the digestive one that makes these Mini Mother-In-Law’s Tongues even lighter and suitable to be crunched at any time of the day. Nigella seeds were already known and appreciated by Egyptians and used for medicinal purposes in ancient Greece for many important therapeutic and healthy properties. 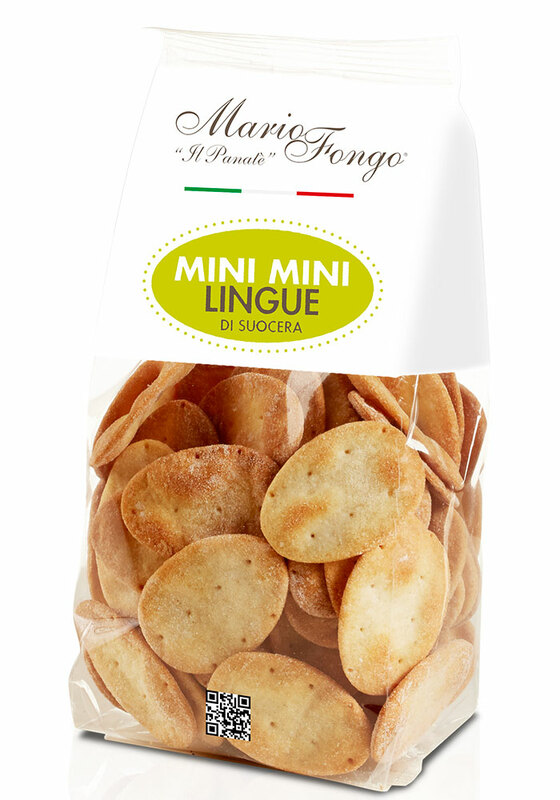 The slightly bitter flavour reminds the taste of oregano and it combines perfectly with the genuineness of the ingredients that Mario Fongo cleverly mixes to get these delicious Mini Tongues. This combination of spices and seeds produces a new and surprising flavour. ​The Mini Mother-In-Law’s Tongues with turmeric and poppy seeds amaze the palate with a delicious exotic flavour and a sublime crunchiness.